Yet, all of a sudden Google is the evil invader in the space. What else could make Apple and Microsoft consortium partners? Nortel Networks, one of the great patent holders, is watching its power, influence, and ultimately its profits dwindle away. Up for auction were a sizable number of its patents. While Google was the early favorite, Apple and Microsoft teamed up with Ericsson, EMC, RIM, and Sony teamed up with each other to outspend Google. While we get to wait and see what this means for Google, we can wonder what our competition might be willing to do to us given the opportunity? How do external opportunities trigger discussions within the organization? Who monitors the external market for us? How do we leverage information to make timely decisions? How well do we gamemanship our competition? Are they better at it than us? The RIM letter to BGR referenced a video from Simon Sinek on TED. While I think he makes an incredibly difficult task seem a little too easy, I think he certainly raises some interesting questions. 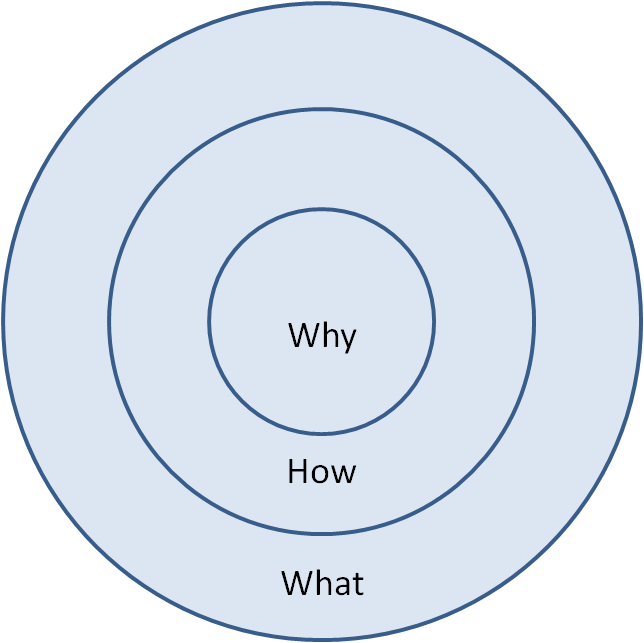 He talks about the Gold Circle, how we market the what instead of the why. Execution is far more difficult than transforming the marketing message from the “What we do” to the “why we do it”, it is more about leadership and a unique focus on the customer that is not easily replicated. Anyway, here is the video…. I know I have not published much here lately, but I have been writing a fair bit. Some of these I have just been a little timid about sharing as they are a little inconsistent with the goal of this blog. Anyway, while I was doing a little research about my current project I stumbled across this and thought the video was well worth sharing. In a nutshell, train yourself to see solutions to problems. Train your business to be more aware, to take risks, but more importantly to always be thinking about solutions. The following video is from Michael McMillian and while the book does not get the wildest of reviews, the concept is and short video is worthwhile.